As an advanced practice provider at Premise Health, you’ll drive our patient-centered approach and have the support you need to focus on what’s important – helping people at some of the best-known companies in the world feel their best. 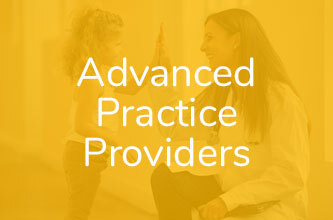 Premise Health advanced practice providers focus on preventive health measures to identify and assess patients’ clinical problems and healthcare needs, collaborating with other healthcare professionals to prepare a comprehensive patient care plan. You’ll build the kind of strong patient relationships that allow you to educate patients about the important ways they can improve their health.